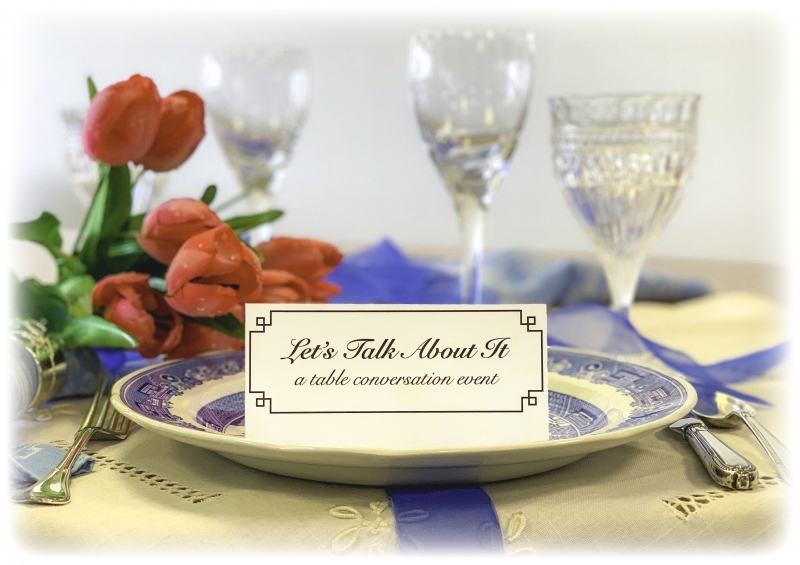 Plymouth Church, 400 S. Oakes, presents for the 13th consecutive year "Let's Talk About It" - a dinner and table conversation on April 25th beginning at 5:30 PM at the church. This public event costs $50 per person and features 12 speakers and a range of topics (you get to select only one), plus wine/beverages, homemade hors d'oeuvres, dinner and dessert. To find out more about the speakers and their topics and to make reservations, call the church office, Monday through Thursday, 442-9883, between 11 AM and 2:30 PM. Hurry! Space is limited.